Timing your trip for the right days can cut your travel costs immensely. Avoid traveling around the time of school vacations. Prices for many tourist destinations skyrocket during summer and during the school spring break weeks. Plus, destinations are packed with visitors around this time. Do some research on the busiest weeks or months for your destination and plan to go on the off-season. For example, the cheapest time to take a cruise is usually around October and November. Flying on the right days will save you money as well. The cheapest days to fly are Tuesday, Wednesday, and Saturday. If possible, never fly on a Friday or a Sunday. These are the most popular days to travel, and therefore the most expensive. Flights early in the morning, in the evening, and in the middle of the night will also be cheaper. Don’t stay at a hotel. During your trip, you’ll probably be spending most of your time visiting attractions and exploring your destination. Spending a hundred dollars every night just for a comfortable bed to sleep in is an enormous waste of money. Some people think they have no other options than staying at a hotel while traveling. In reality, there are several cheaper options for lodging. Most cities and major tourist destinations have hostels where you can stay for about $20 or $30 per night. At a hostel, you typically share a room with several other people. You’ll have less privacy in a hostel than in a hotel room, but it can save you hundreds of dollars. You can also try using a site like Airbnb to rent a room or an apartment in your destination. Airbnb is much cheaper than a hotel, and you’ll usually have access to a kitchen to make meals. If you want a completely free place to sleep, you can try couchsurfing. Your couchsurfing host will let you sleep on his or her couch or in a spare room. It doesn’t cost anything, but most people buy a gift or a meal for their host as a thank-you. Couchsurfing can also be a great option because your host will be familiar with the area and can give you travel tips. Going to a restaurant a couple of times during your trip to try whatever foods your destination is famous for is probably worth the cost. However, dining out for every single meal on your trip could end up costing you hundreds of dollars. Find a grocery store near you and make your own meals. It will be considerably cheaper and probably healthier to cook your own meals, even if you just make some sandwiches or pasta. After visiting a few of the major tourist attractions at your destination, find some free, less well-known events or attractions. There may be a museum in the area that has free admission or has one free or reduced price day each week. You can probably find some free walking tours if you’re visiting a city. Many historical sites are also free to visit. Another easy way to explore a destination for free is to find local parks. Exploring parks can be an interesting way to discover some of the history or culture of your destination. You also may be able to find some free music or theater shows. Taking a vacation doesn’t have to hurt your finances. 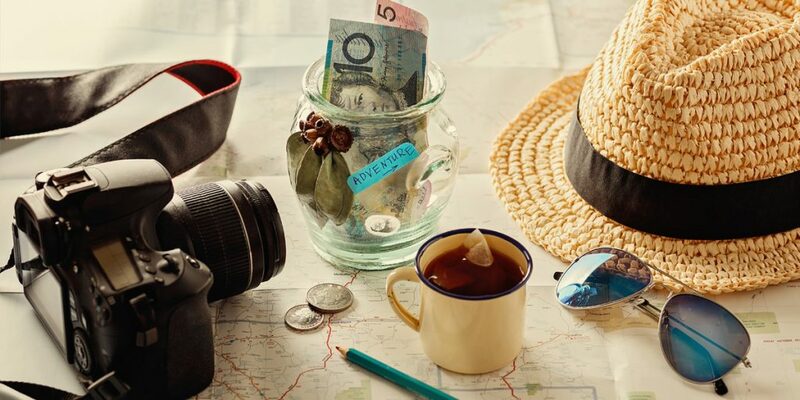 If you’re willing to put some extra effort into planning and cutting costs on flights, hotels, and food, you can likely fit a vacation into your budget.